Golf carts, Sales, Repair, Accessories & Consignments. 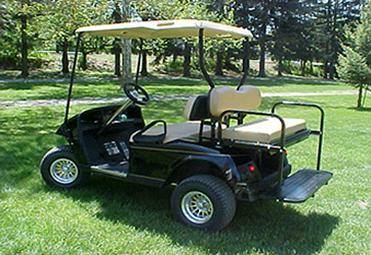 We sell refurbished golf carts that we customize to each buyers particular need. Plain or fancy, we have many options to meet your needs or desire. Work or play we will build it YOUR way. Friendly service and warranty.